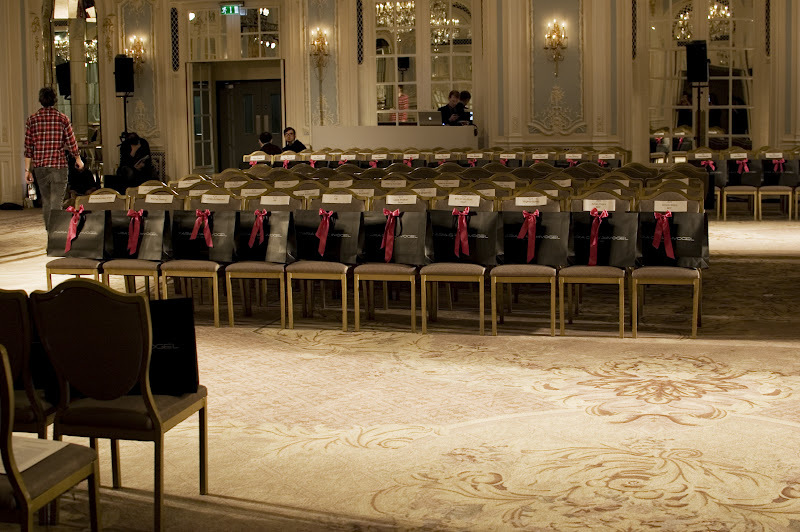 Yesterday I dressed at the Maria Grachvogel show at The Savoy hotel. It was a really different experience to my previous times spent backstage at a fashion show...it was very relaxed and spacious with lots of people sitting about chatting and it was just generally a nice atmosphere. Unfortunately in working this show it meant that I missed PPQ because there was a slight cross over, but it was good to do something new any way. I wore a black dress with a leopard print peter pan collar, belted and with black tights and black glittery brogues. I also had my green top coat and Urban Outfitters bicycle bag with me - sorry I didn't manage to get a picture! Here are some images from backstage. 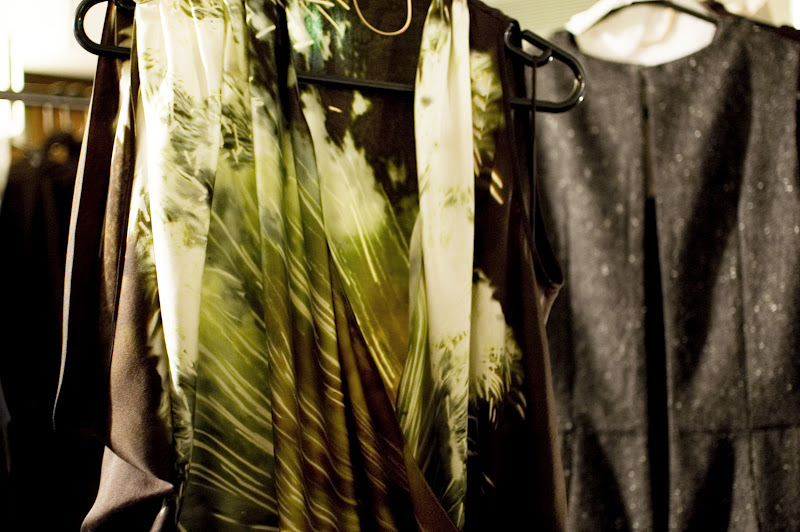 You can see the Maria Grachvogel AW12 collection HERE. I know the model from the modelling card :) I have photographed her 2 times :) ! she is amaaaazing and is going to be so big now since she moved here to London!